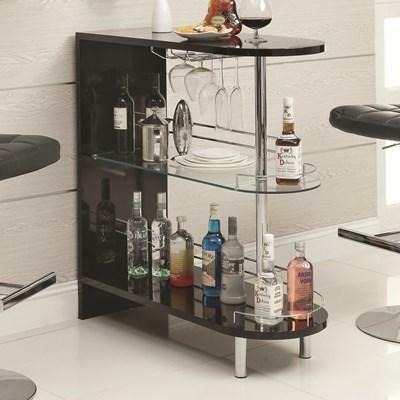 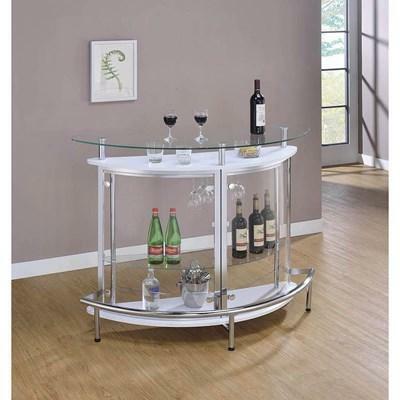 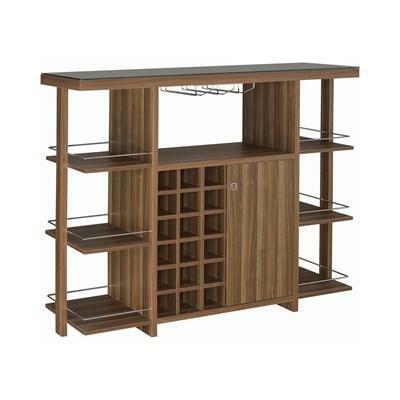 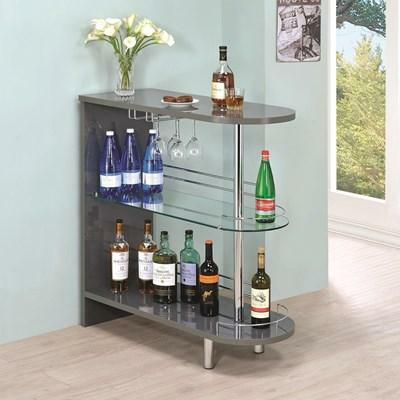 This contemporary style Bar Unit makes the perfect addition to any room. 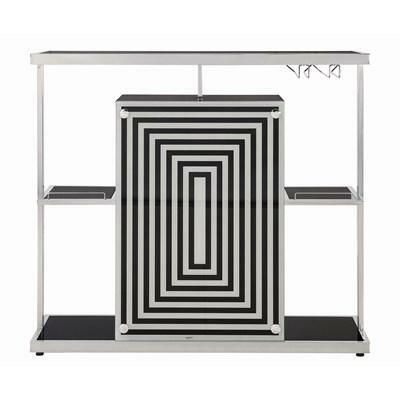 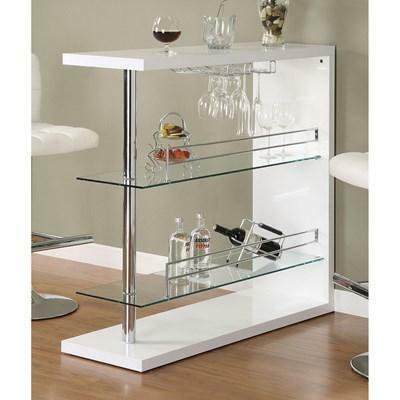 It features two storage shelves and a stemware rack with chrome railing finish. 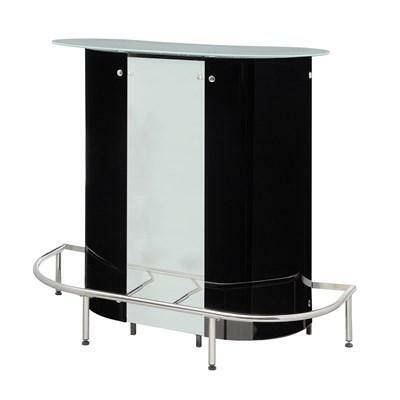 It comes in a sleek glossy black finish. 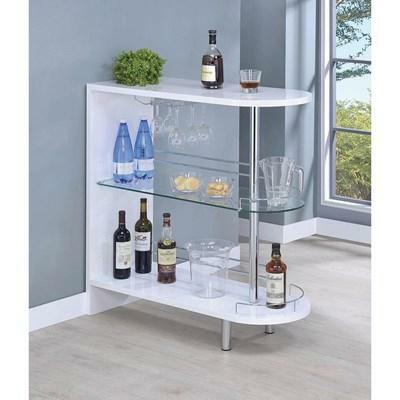 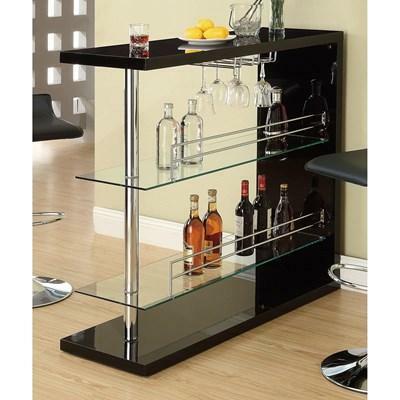 Entertain in style with the sleek contemporary bar unit featuring two glass storage shelves and a wine glass holder. 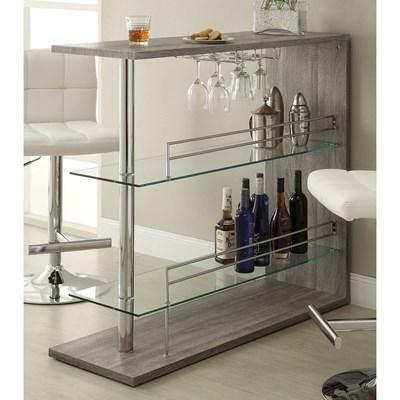 It is finished in a weathered grey and topped off with chrome accents. 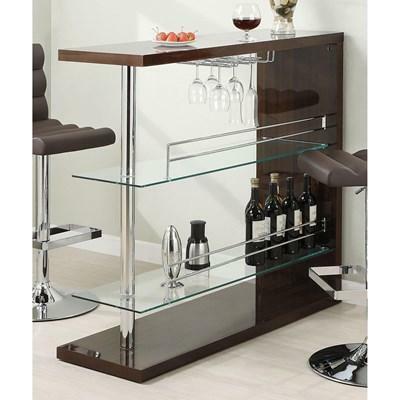 Entertain in style with the sleek contemporary bar unit featuring two glass storage shelves and a wine glass holder. 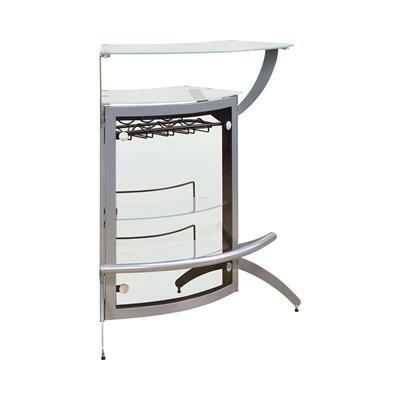 It is finished in a gloss cappuccino and topped off with chrome accents.